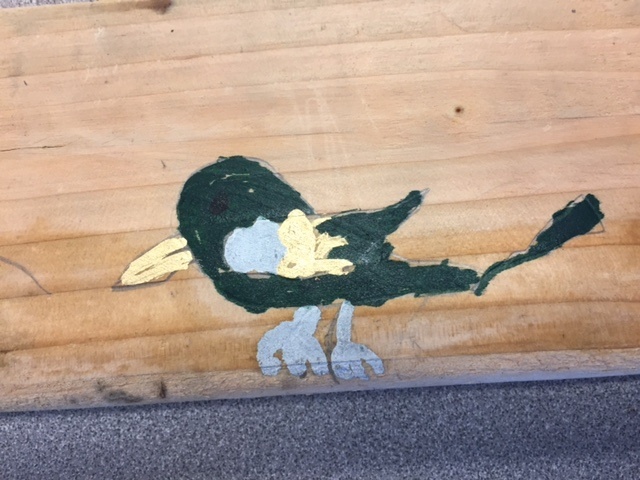 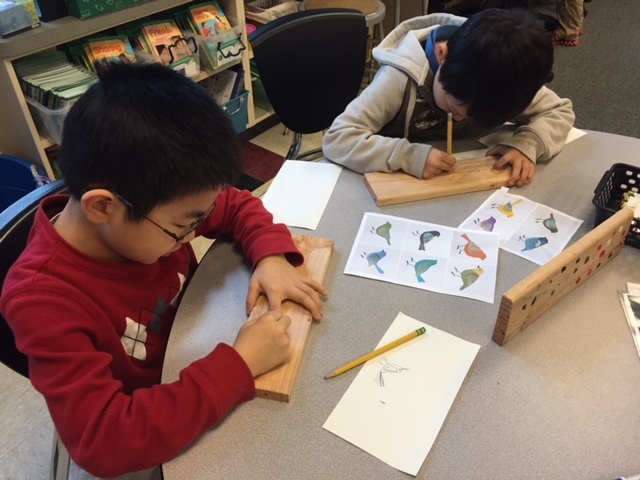 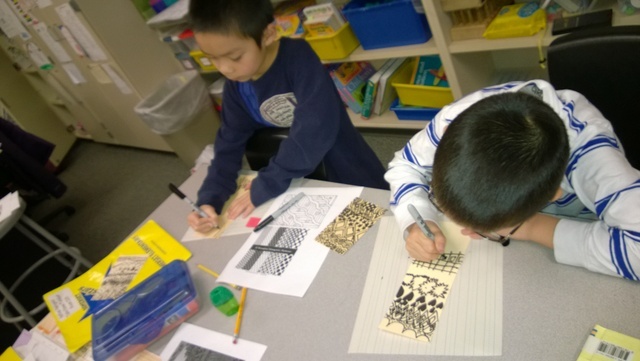 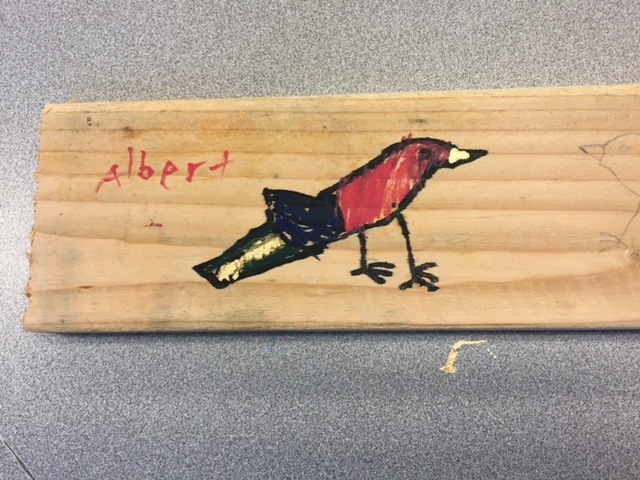 Students in Mrs. Williamson’s class studied birds, practiced before drawing and painting them on their wood blocks. 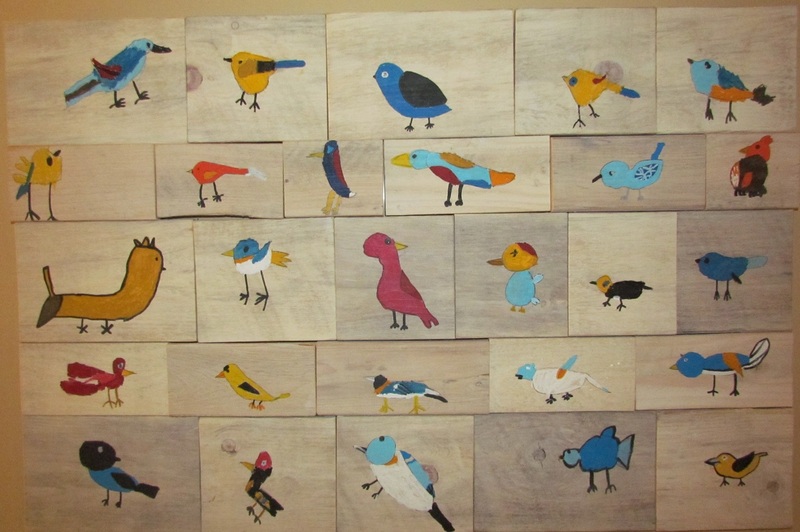 Made of reclaimed wood assembled by parent volunteers, the piece showcases beautiful whimsical birds in different colors and sizes. 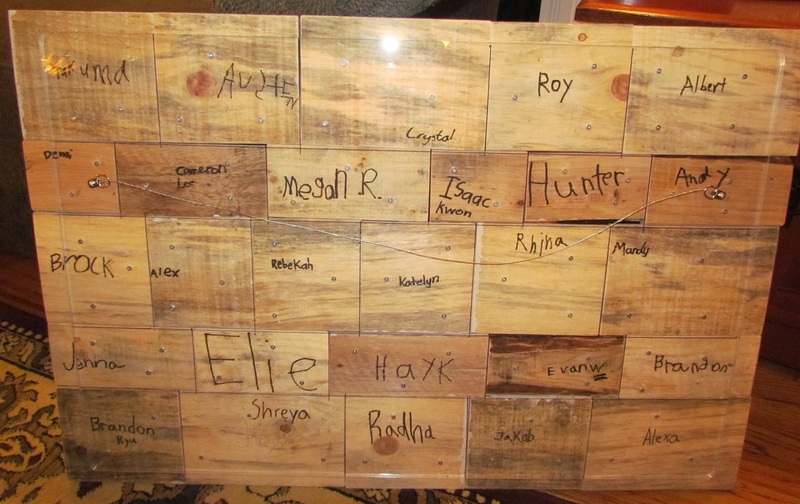 Each student signed their block. 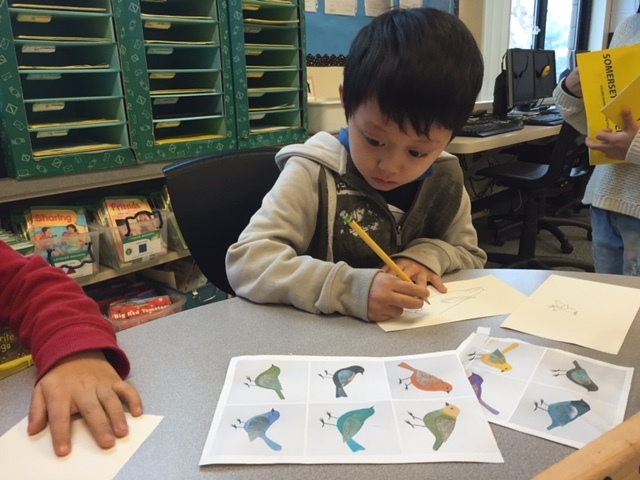 Let the First Graders in Mr. Brown’s class show you the Imaginary Creatures they came up with! 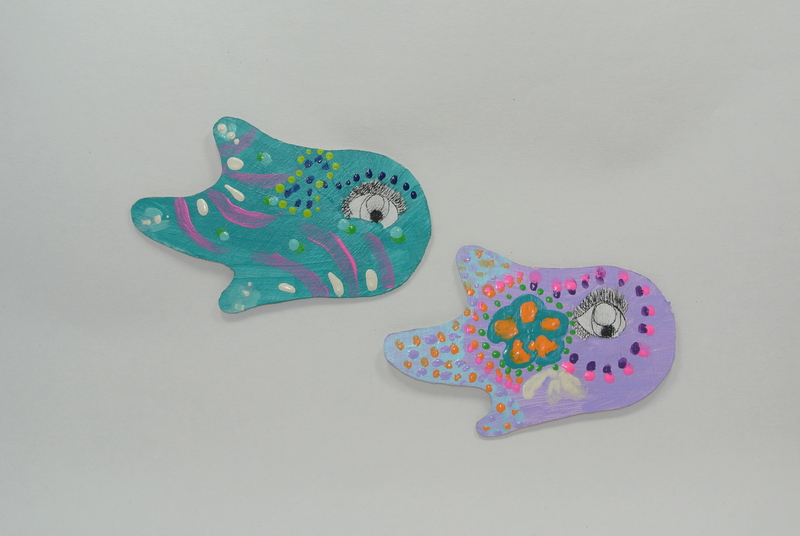 Imagine them hanging around in your living room!! 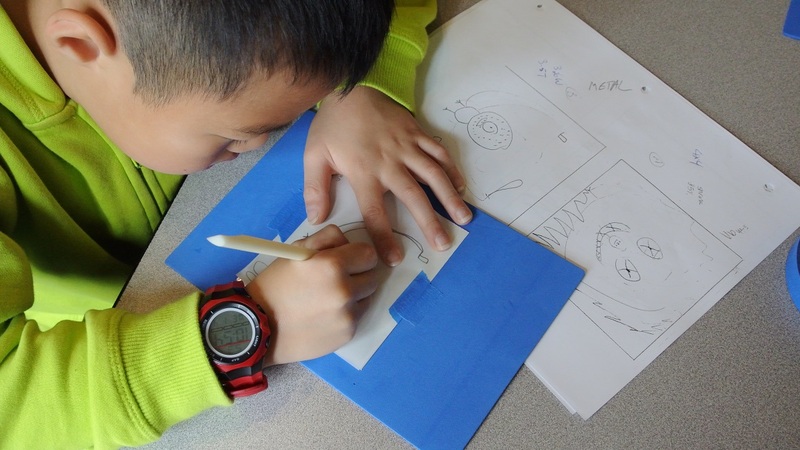 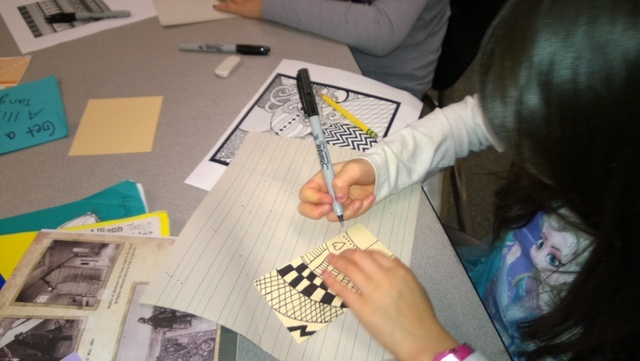 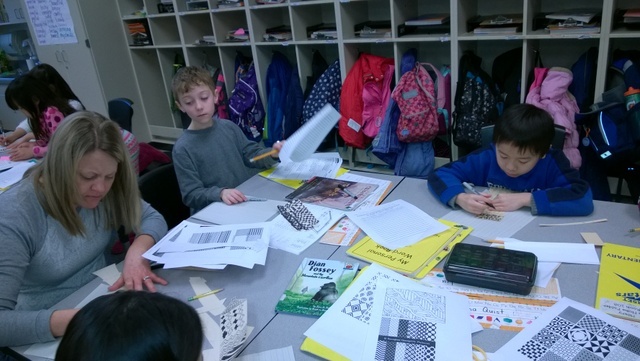 Inspired by authors and illustrators who created imaginary creatures and challenged to think beyond the ordinary, these students started out by creating several creatures on 4-panel drawing sheets and selected one to share with you. 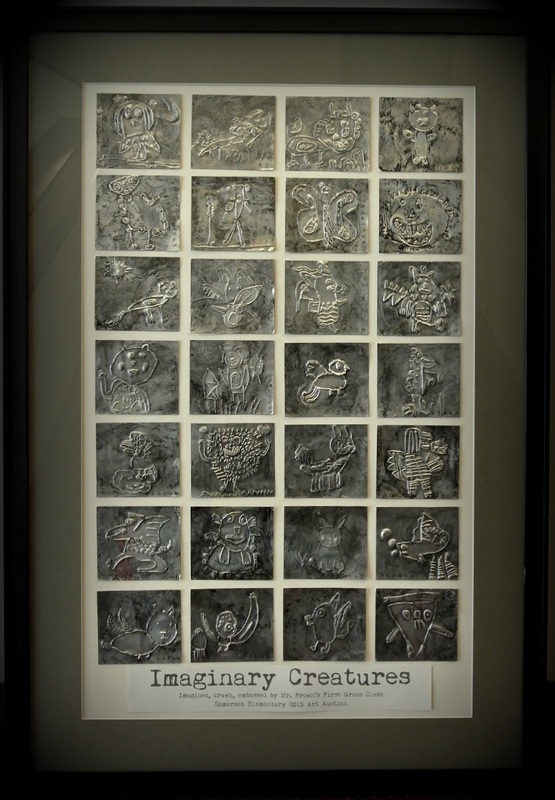 They very carefully transferred their chosen creature drawing onto tracing paper so that a copy of the image can be laid over a thin sheet of metal. 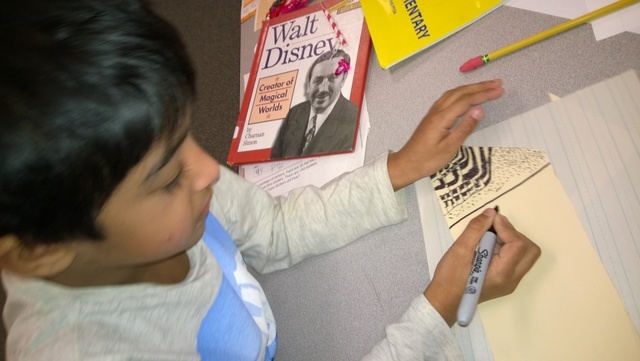 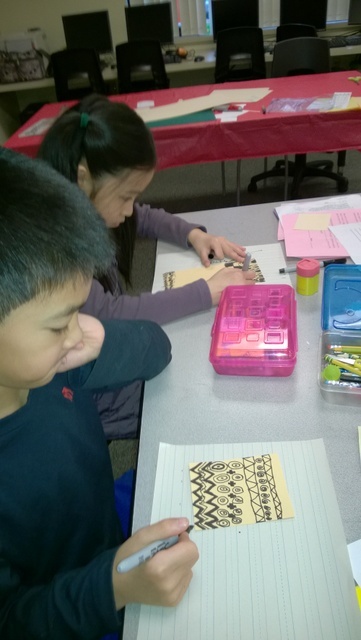 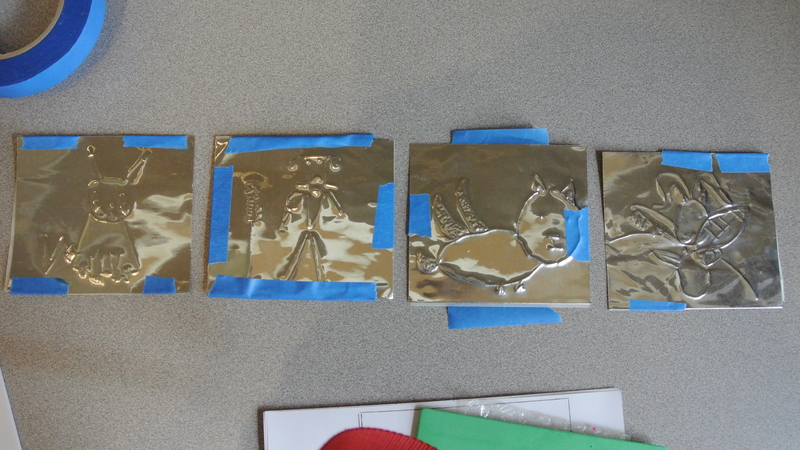 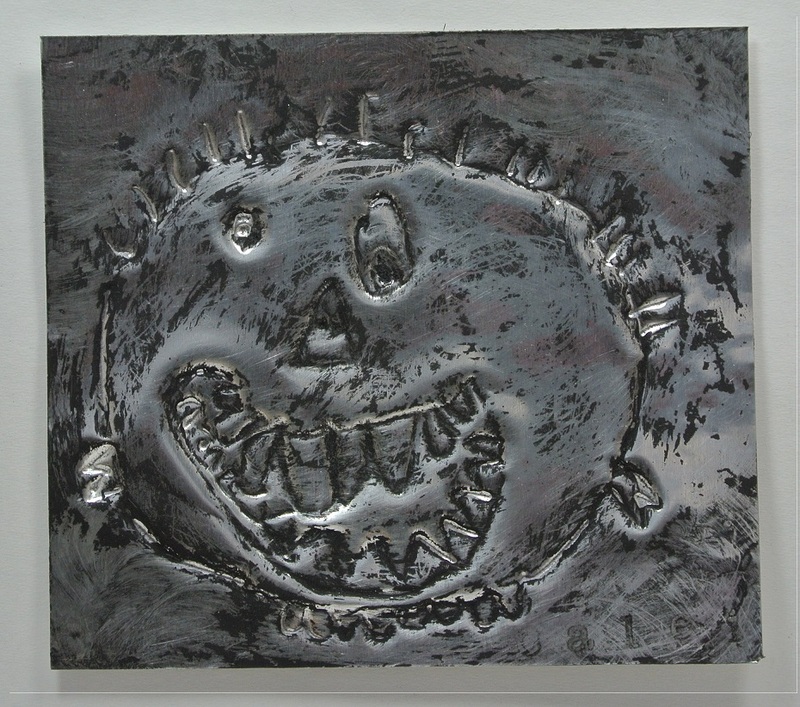 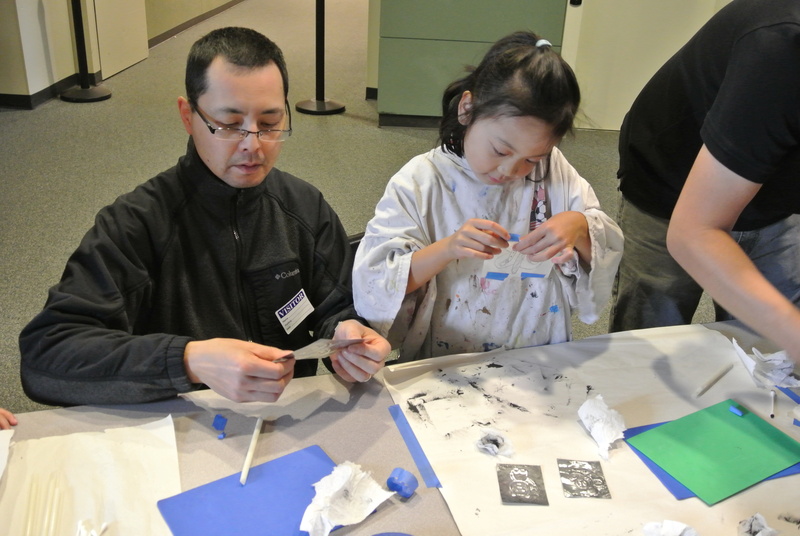 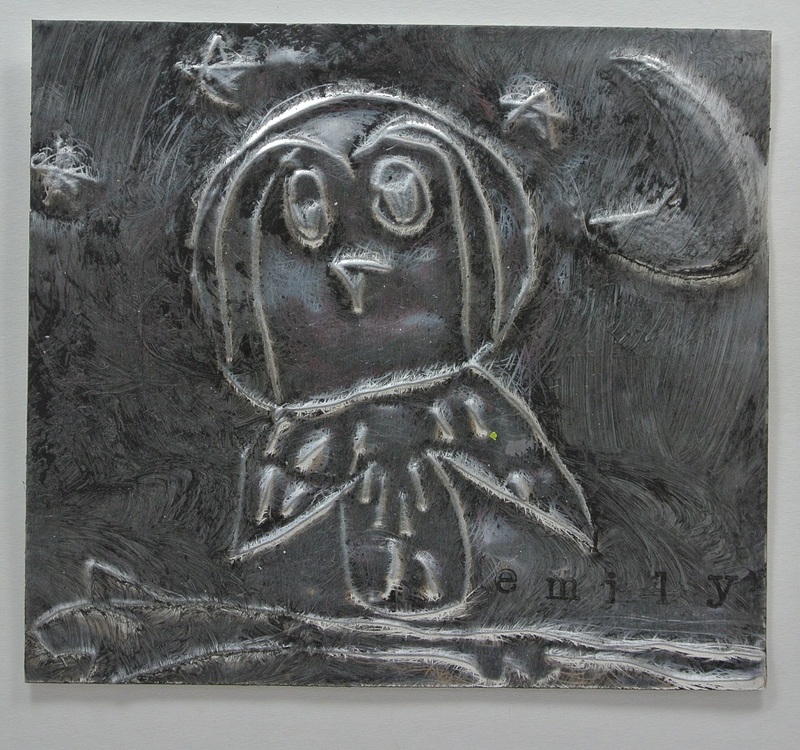 Then they meticulously embossed their Imaginary Creature to make each one dimensional using a stylus. 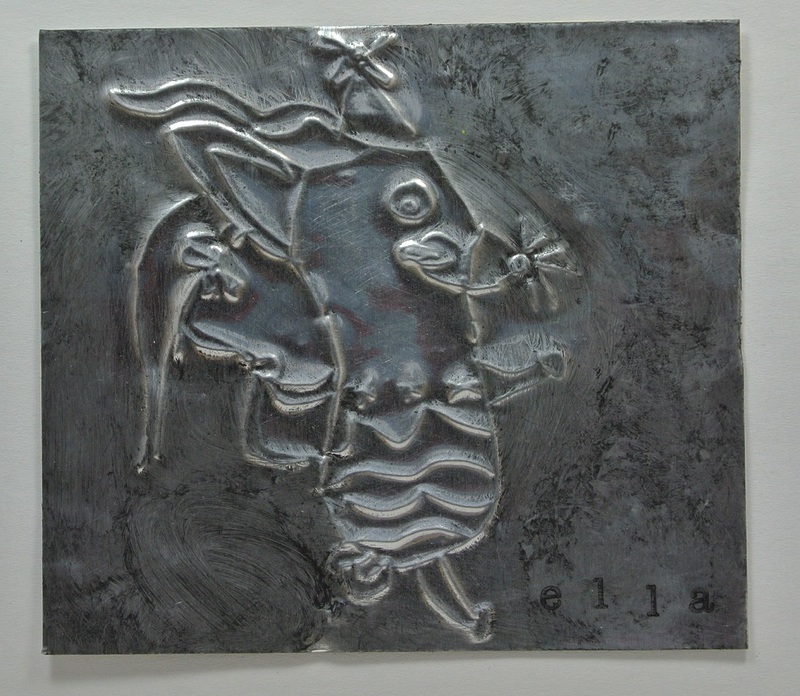 For a finishing touch, they rubbed black acrylic with tarlatan cloth (used in printmaking to rub ink off etching plates) to give it some patina. 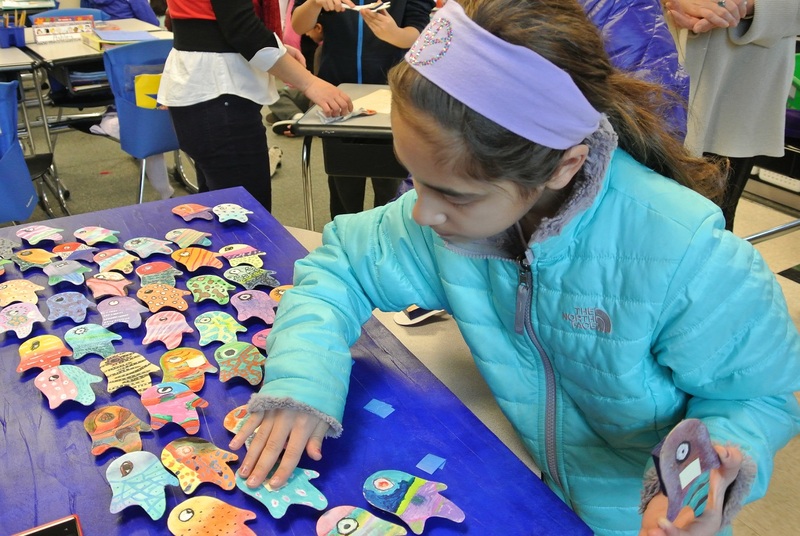 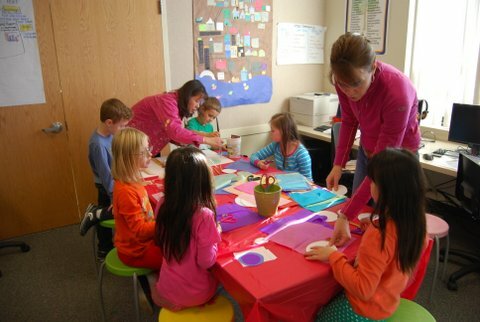 Created by the 4th Graders in Mrs. Pastorelli’s class, Go Fish is a group composition of 58 individually designed unique fish. 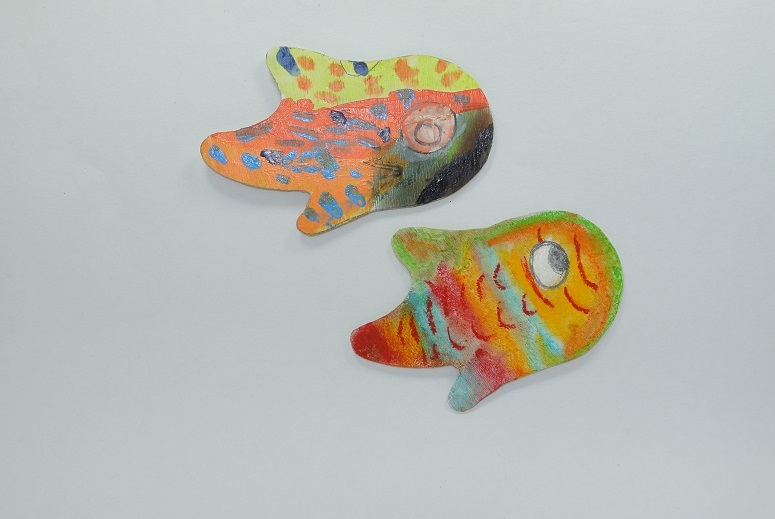 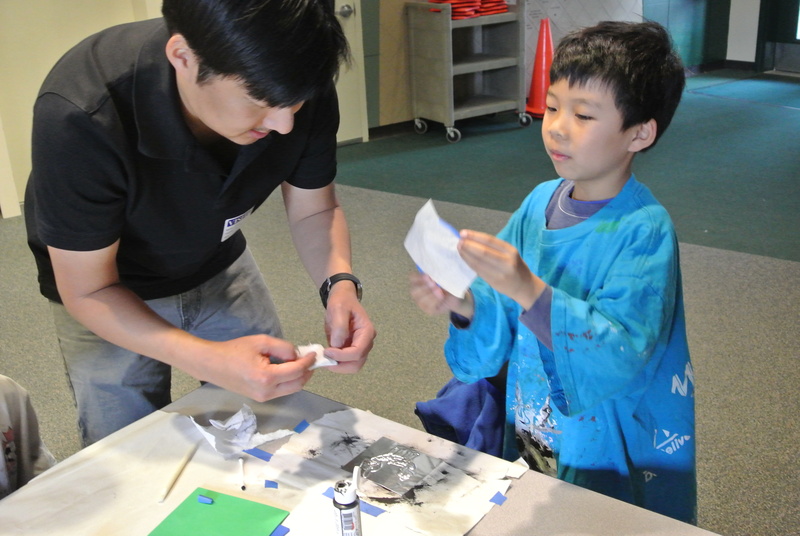 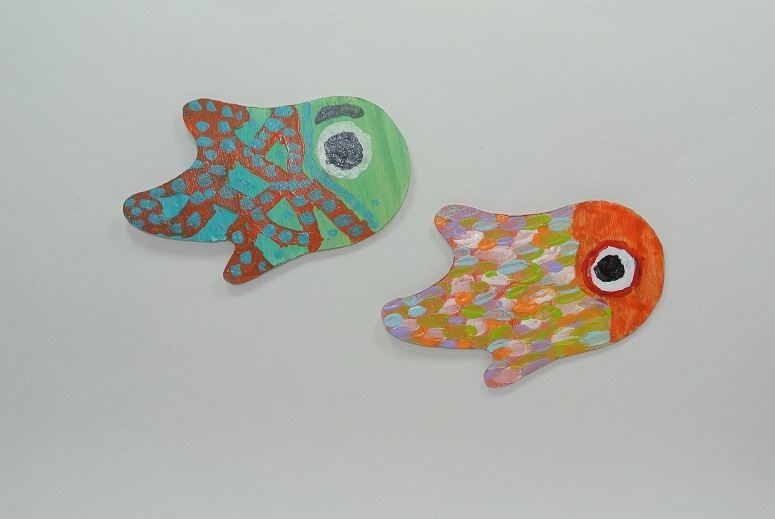 Handcrafted from 1/16″ birch plywood, each fish was individually cut, sanded, primed before each student chose their own combination of media to design two fish. 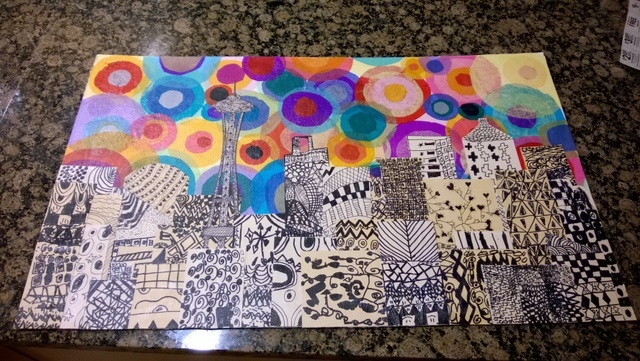 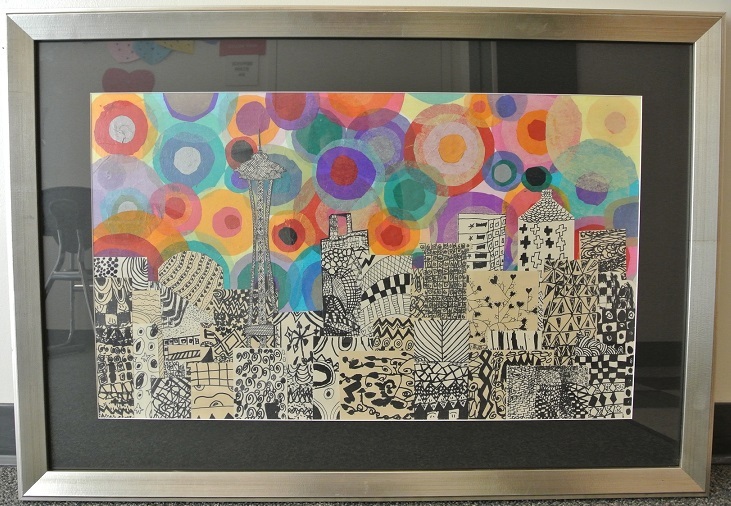 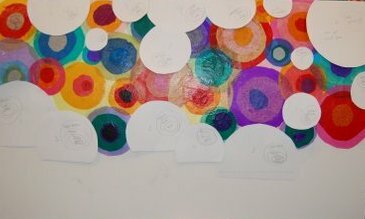 Choices ranged from watercolors to acrylics to soft and oil pastels to graphite and color pencils. 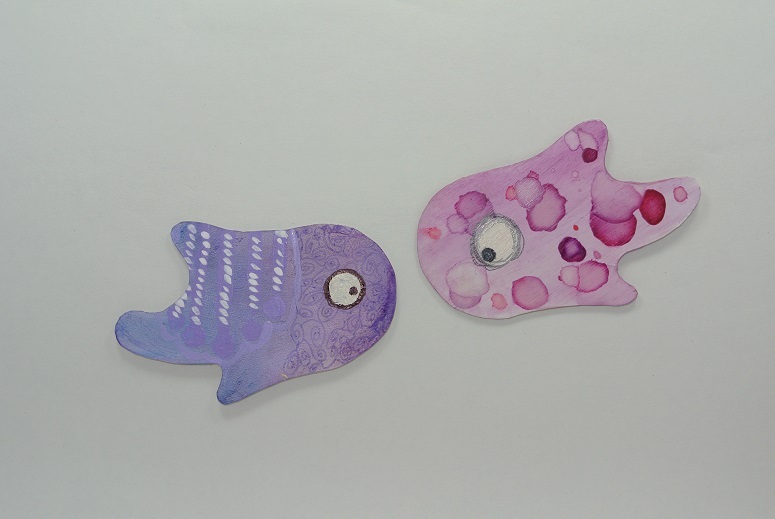 The school of fish are float-mounted on different size spacers to enhance depth. 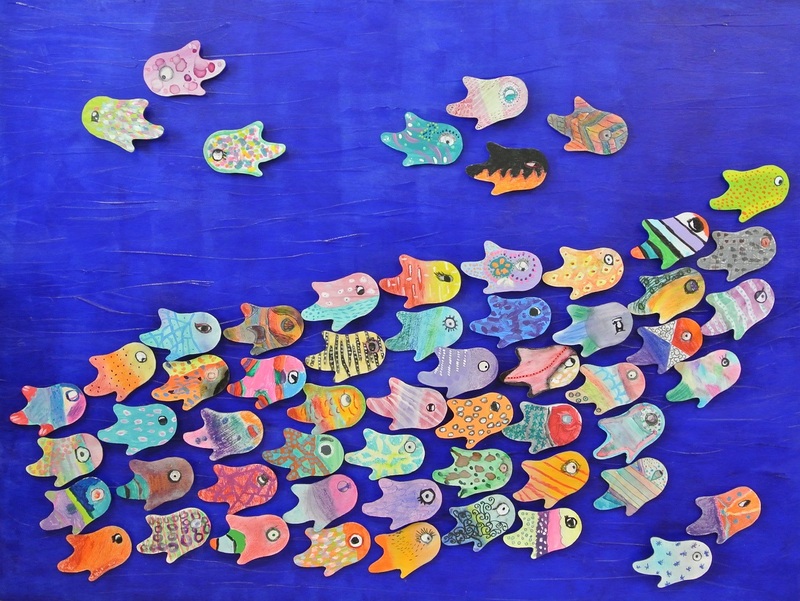 While Mrs. Pastorelli’s leader fish led most of the school, a few “rebel” fish swim around, some in the opposite direction!